At JH Restorations we pride ourselves on what we do. 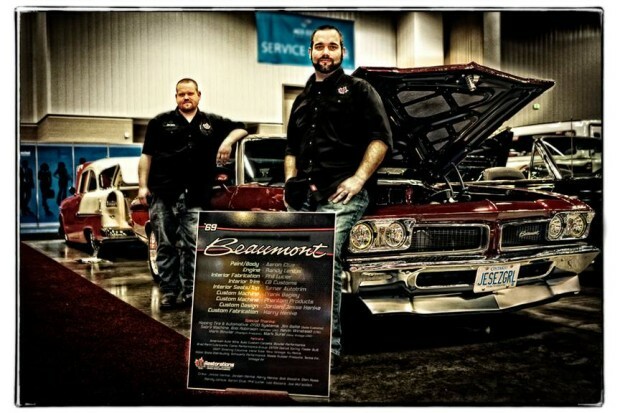 Like the name says we restore classic cars, but we also do Resto mods, Street Rods and full Custom work as well. As an extension of doing all this we needed reliable suppliers to deal with that could get us the highest quality parts available, which gives us the ability to sell these parts to our customers at a competitive price. At JH you can expect to find us using and selling quality parts from Ididit Steering Columns, Eaton Detroit Spring, Inline Tube, the Comp Performance Group, and Vintage Air, just to name a few. With years of experience and technical resources to back it up, we have developed a reliable resource that can help you with all of your restoration needs. We offer some of the lowest prices to be found, and if there is anything we can help you with, please to not hesitate to ask. We look forward to working with you, and assisting you on restoring your dream…. Hopefully we can be your first choice for all of your restoration and aftermarket needs. JH Restorations has it roots in the first cars our family ever worked on, back in 1979 when my father was rebuilding a 1969 Beaumont to drive to and from work. Most of these early cars were built using parts from wrecking yards or some parts that you could still find at the dealerships but most times it all came down to some good ol’ fashion metalworking and body work skills not to mention hard work, and ingenuity. We have worked on many cars since then, and have always been involved in the hobbies of street rod, racing and restoration in some way or another. Whether circle track racing on a Friday night, or fabricating a custom floor pan for a 35 Chevrolet, even replacing quarter panels on a 78 Z-28 we have been there. With combined experience between father and sons of almost 35 years, we can proudly say that what ever you need, and whatever you can dream, we can help. A couple years ago the group of father and sons took a look at what we had been working on, and saw that there was a need to gain access to parts and offer services for the many projects that were popping up. So taking the responsibility upon ourselves we opened a shop full time to sell parts and services to the automotive enthusiasts. We now offer our services for restorations, resto mods, sheetmetal work, interiors, ground up services and more, while still selling any restoration parts and performance accessories you will need for all GM Muscle Cars, Mustangs, Classic GM Trucks and Street Rods. JH Restoration has a long list of well known suppliers which enables us to sell almost any part that an enthusiast like you might need.